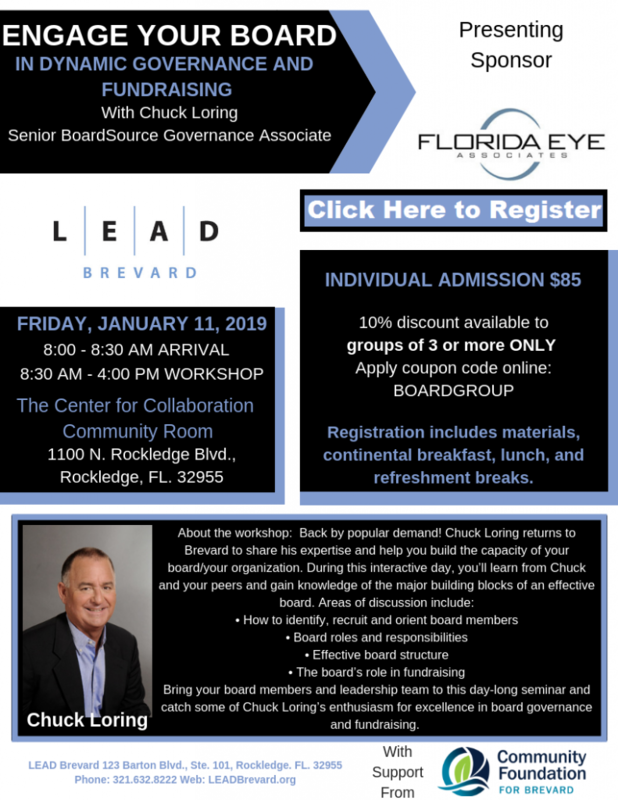 About the presenter: Chuck V. Loring, MBA CFRE is a Senior Governance Associate for BoardSource and senior partner of Loring, Sternberg & Associates, based in Fort Lauderdale and Indianapolis, which provides governance consulting services to nonprofits. Chuck has helped hundreds of local and regional nonprofits across the country strengthen their boards and improve governance practices. Chuck also conducts training programs for funding organizations, including a host of community foundations across the country.